Oak Alley at Sunrise – This was a look into the past that has been frozen in time at our visit of Oak Alley Plantation this last year. To get the feel of the place, we stayed on the property in one of the freed slaves cottages on the property which really helped you get a feel of what life might of been like in the past. In these images we captured the great old oak trees at Oak Alley Plantation at sunrise including the mansion and the other great oaks which have been here for more than 300 years. The Oak Alley plantation landscape is really a beautiful place to visit with a great sense of history both the good and the bad as it pertains to slavery. Our visit to the Oak Alley plantation left us with a sense of what was like for all that live there from the one who lived in the Mansion to the families that were enslaves and work and lived on the property. The property was designated a National Historic Landmark for its architecture and landscaping, and for the agricultural innovation of grafting pecan trees, performed there in 1846–47 by an enslaved gardener. Oak Alley Sunrise – Early morning at Oak Alley plantation. The sun is just filtering through theses 300 year old trees on the plantation and light the path to the mansion. The house was positioned to enhance the trees presence on the plantation and they seem to create this wonderful canopy over the house and sidewalk area. No one knows who planted these oaks trees but they seem to know exacty where they thought the house should be place because they seem to have are perfect path to the Mississippi. This was a working sugar plantation which was manned by slavery as was the case during this era in the deep south. The slave live on the property on the other side in their own housing area while their home may have mulitple familes living under the same roof in crowed miserable conditions. The historical property is beaufiful today and has been well maintained and these oak are what drew us there. These are big and beautiful live oak trees on very nice grounds some refer to this area as oak valley or seven oaks. This part of the community of Vacherie St James Parish in Louisiana located on the west bank of the Mississippi River. The property was purchase by Varlcour Aimes in 1830 but exchanged with Jacques Roman and he started building the mansion the following year the style of the house is Greek Revival with his father in law Joseph Pilie as his architect. Later on the property was sold several time and finaly ended up in the hands of Josphine Stewart as a gift from her husband. She started extensive restoration of the old mansion which had fallen into disrepare over the years but ended up not being able afford the cost to keep it up. Josephine Stewart ended up leaving it to the Oak Alley Foundation in 1972 which open it to the public.l Oak Alley Plantation is like a world frozen in time with it history dating back to the mid 1800’s. Oak Alley became a National Historic Landmark for its architectural and landscaping along with it grafting of pecans done by an enslaved gardner in 1846-47. Posted in Photo of the Day and tagged 300 year old oaks, architecture, deep south, historic place, Josphine Stewart, landmark, landscape, landscaping, live oak, mansion, Mississippi, national historic landmark, Oak Alley, Oak Alley Plantation, oak trees, oak valley, plantation, seven oaks, slavery, slaves, southern, St James Parish, sugar cane, tourist, travel, usa, vacherie on July 23, 2017 November 9, 2018 by Bee Creek Photo. 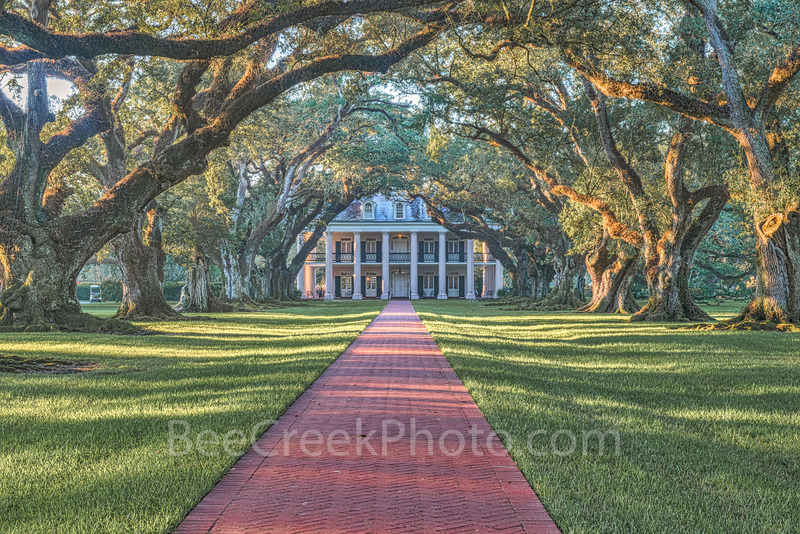 This is an sunrise landscape image of the wonderful live oak trees at Oak Alley Plantation. These old live oak trees are known to be over 300 years old and they were there even before there was a plantation or house on the property, but no one seems to knows who planted them, but we are glad they did. The plantation runs along the side of Mississippi river in the community of Vacherie, St. James Parish, Louisiana, U.S. This plantation was planted with sugar cane by slaves who live in the southern US and years before the grand old mansion was built these tree were already in place and somehow they knew right where they needed to be for the walkway from the house to the mississippi river. The trees there are amazing and we wanted to show you can do a triptych or multiple panel image from one image on our site to add that punch to a room. There are several reasons you might want to do a mulitple frame image; it allow the image to cover more wall space than a single image, it has modern look, also a mulitple panel images add a unique look to a photo and will be a show stopper and add that wow factor to the room. Please contact us if your interested in one of the split images style of photos. This is a three split panel of the trees at Oak Alley plantation at sunrise from a single image. 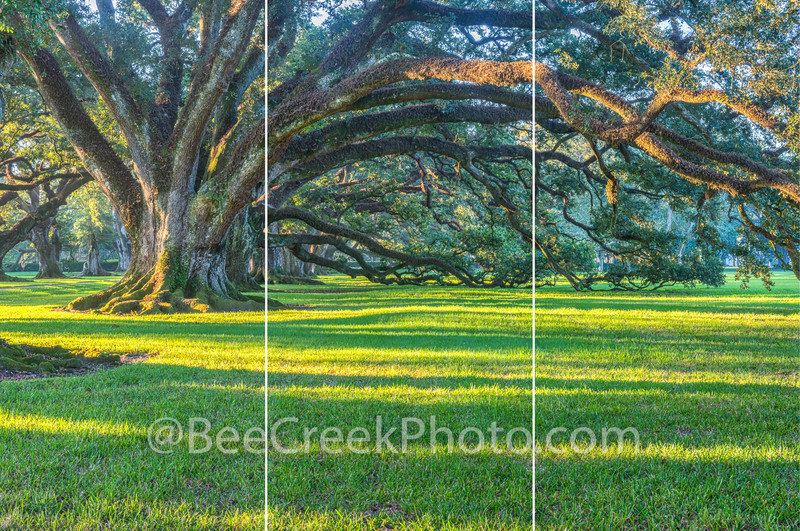 This tree landscape image of the oak alley live oak trees are available as a three panel image. This style is call a split panel or a Triptych image. In a triptych each image will have two or more panels of the images. This is the sample of how the panel would be broken down to give you an idea of what it would look like once it is printed. If you need to fill a larger area with one photo a triptych image is perfect because it can cover a much larger space than a single image can. Please contact us if your interested in a split panel image of a photograph we will be happy to discuss your project with you. Watermarks will not appear on the images. Posted in Photo of the Day and tagged antibellum, bowing oaks, deep south, famous, historic, live oaks, Louisiana, Mississippi, Oak, Oak Alley Live Oaks, Oak Alley Live Oaks Triptych, Oak Alley Plantation, oak valley, river road, seven oaks, slavery, southern, three panel photo, usa on July 20, 2017 August 17, 2017 by Bee Creek Photo. Iconic Dallas skyline panorama after dark. This cityscape has the Margaret Hunt Hill Bridge, the Bank of America, Fountain Plaza, Reunion Tower, Omni, along with many other high rises in the downtown area. Dallas has an impressive number of skyscraper in the downtown part of the city and is the third most populous city in Texas. The tallest building is the Bank of America Plaza which stands at 921 feet and the second tallest is the Renaissance Tower at 886 feet. Out of the top ten of the tallest buildings in the southern United States Dallas has three of the tallest buildings in Texas and Houston has seven. 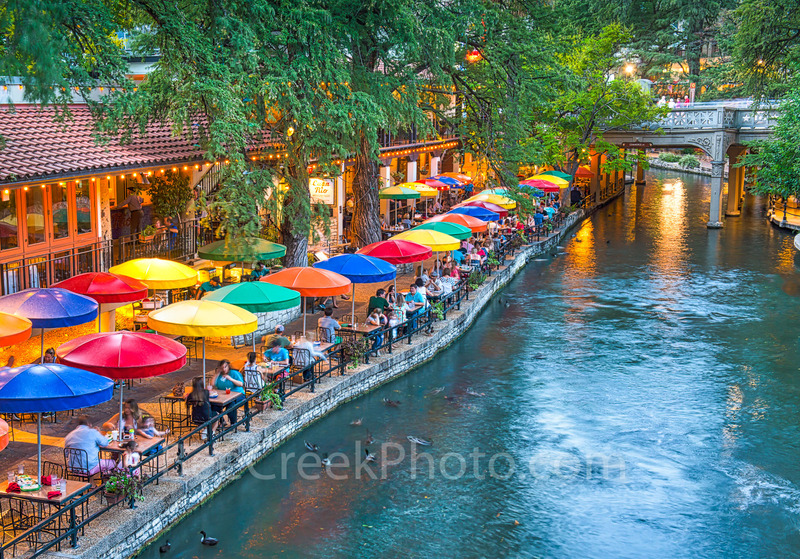 The downtown sits along the Trinity River where the town was founded and the city grew from it oil and cotton industry along the railroads, now business is mostly banking, telecommunications, technology, energy, healthcare and medical research, and transportation and logistic. This metropolitan area lead the nation as one of the nations largest employer and metropolitan area’s economy is the 10th largest in the world. We loved this image because we were able to capture such a large area of the downtown area of the city however this area is no longer available to photograph from. So we can only hope next time we go back we can find a similar site to capture the city from. Dallas Skyline Panorama Night – Dallas skyline panorama after dark with all the cities skyscapers and iconic sites. This cityscape has the Margaret Hunt Hill Bridge, the Bank of America, Fountain Plaza, Reunion Tower, Omni, along with many other high rises in the downtown area. Dallas has an impressive number of skyscraper in the downtown part of the city and is the third most populous city in Texas. The tallest building is the Bank of America Plaza which stands at 921 feet and the second tallest is the Renaissance Tower at 886 feet. Out of the top ten of the tallest buildings in the southern United States Dallas has three of the tallest buildings in Texas and Houston has seven. 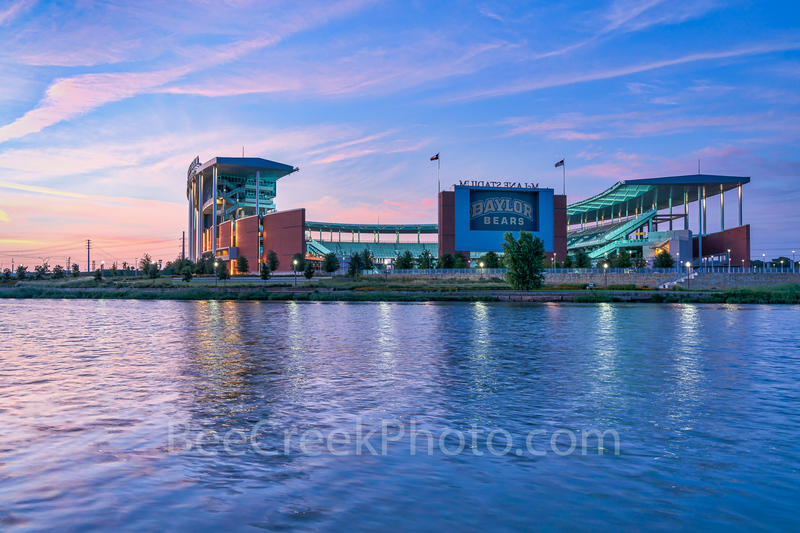 The downtown sits along the Trinity River where the town was founded and the city grew from it oil and cotton industry along the railroads, now business is mostly banking, telecommunications, technology, energy, healthcare and medical research, and transportation and logistic. Dallas metropolitan lead the nation as one of the nations largest employer and metropolitan area’s economy is the 10th largest in the world. We loved this image because we were able to capture such a large area of the downtown area of Dallas however this area is no longer available to photograph from. We hope next time we go back we can find a similar site to capture the city from. Posted in Photo of the Day and tagged architecture, Dallas Architecture, Dallas cityscape, dallas downtown, Dallas Magaret Hunt Hill bridge, Dallas Skyline, DFW, Margaret Hunt Hill Bridge, pano, panorama, urban on July 18, 2017 September 26, 2018 by Bee Creek Photo. Another one of my favorite Austin skyline panoramas we have captured along Lady Bird Lake. Just as twilight began you can still some of the sunset colors still in the sky as the cityscape lights the high rise buildings along the shoreline of Lady Bird Lake in downtown area of the city. For years now high rise building along Austin Lady Bird Lake have made it difficult to capture a good skyline because there are so many cranes and still we have many new skyscrapers on their way. However, from this view you can still capture a decent skyline image along Lady Bird Lake at least for now. Posted in Photo of the Day and tagged austin cityscape, Austin downtown, Austin skyline, Lady Bird Lake, skyline on July 14, 2017 September 26, 2018 by Bee Creek Photo.